It is difficult to write about Cyprus without triggering polarized emotions or reactions from many Europeans, especially Cypriots. The capital, Nicosia still today is shared between Greek and Turkish Cypriots, and it doesn’t seem that those two parties could reunite any time soon. Nico, as an original Berliner, was fascinated by the possibility that cities of the European Union could be as divided as Berlin used to be. 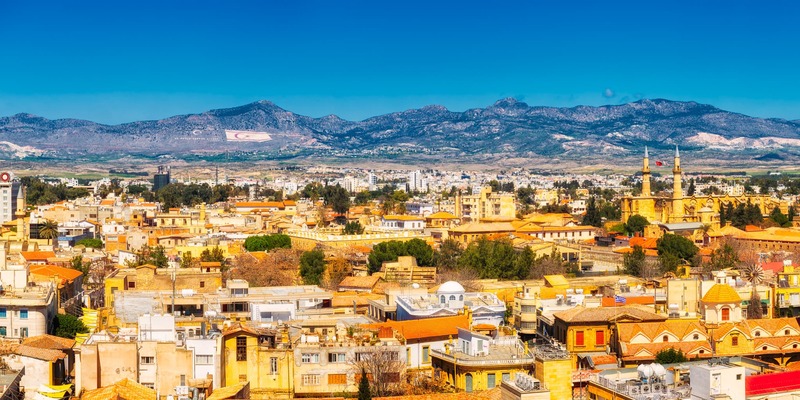 Therefore, Nicosia had to be high on our list of visiting and photographing all the European Capitals. We wanted to discover the history of the city and get a feeling of what it is like to live in a place divided by a wall. We landed in the southern part of the city almost at night. We booked an apartment and also transportation from the airport to the city in advance. When booking, we could specify the topics we wanted our driver to be specialized in like cooking, sightseeing, history, etc. – no kidding. The lady who picked us up turned out to be a rich source of information and a good first guide into Cypriot culture. On the way to the city, she explained what Cypriots cook, eat and what they do to relax. However, the topic changed when the closer we got to the city and the view of the Turkish flag made from lights on one of the hills unfolded in front of our eyes. The lady seemed to be a bit disturbed by the view and explained that the Turks do that to tease Greek Cypriots. We felt we needed to ask how it feels to cross the border of Nicosia to the northern part of the city. She explained that it was not a problem, we just needed our passports. We asked if many people pass the border, and she answered that many tourists do that. We asked how often she crosses it, and she said that almost never. Not many Greek Cypriots do that or feel the need to. 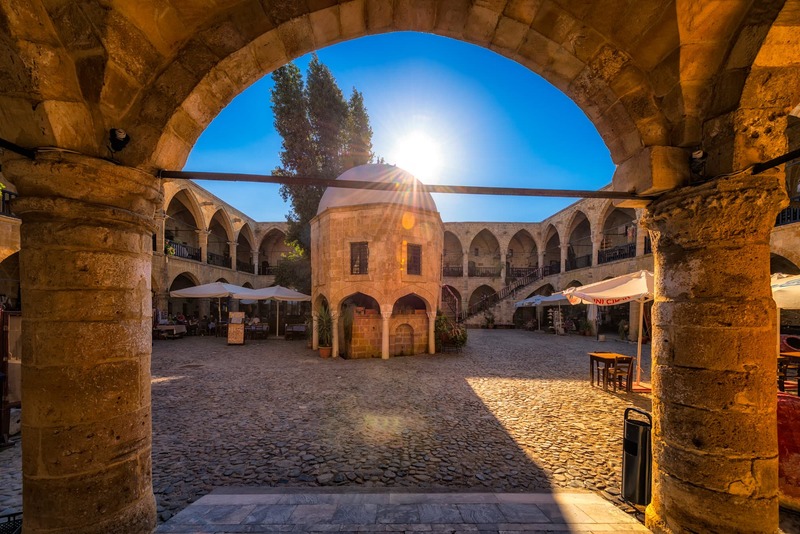 We knew the facts about the conflict on Cyprus, but because of our first conversation with a local, we discovered how difficult this topic is, and history is still happening and the wounds aren’t fully healed yet. 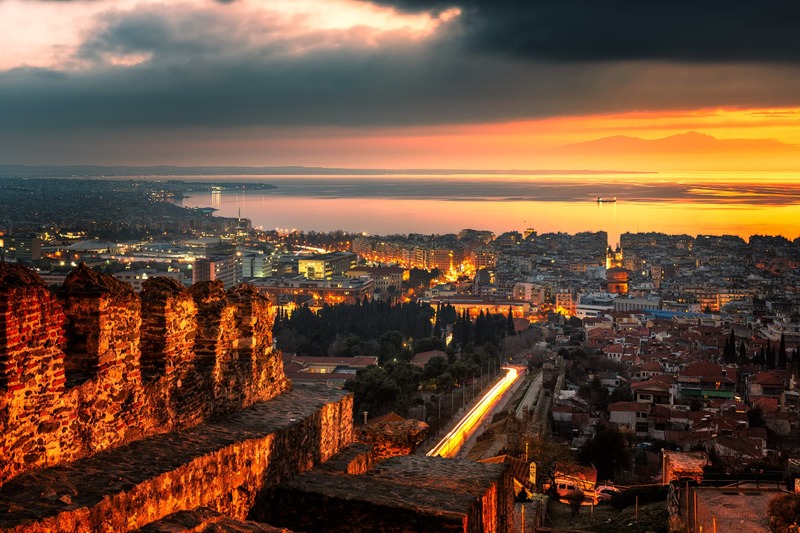 Despite that knowledge, we made our first mistake to call the northern part of Nicosia the “Turkish part” – for the southern island is considered the “occupied part”. The southern part of Nicosia won ours hears from the first evening on. Inspired by our driver, who picked us up at the airport, we felt an urge to try some “Meze” (small meat or vegetarian dishes like salads, roasted meat, halloumi cheese) right away. We found a small restaurant a bit outside of the main Ledra street. It was a typical Cypriot Taverna with live music in the evening. We enjoyed our time there a lot. And for the next few days, we repeated this experience of discovering various Meze-places. For the next two days, we wandered around the southern part of Nicosia. 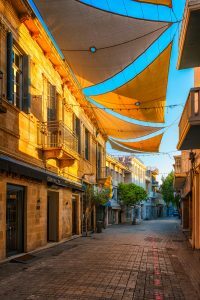 We found that some streets, especially the historic main Ledra Street, were smartly designed – orange and yellow sails hung over the streets, protecting pedestrians from the sun, which must be strong in the summer months. We also enjoyed walking along the Venetian Walls in the shape of star built in 1567 by the Republic of Venice to protect the city from the Ottoman Empire (the city fell in 1570, after 40 days of siege). It was interesting to read that after the island was conquered by the Ottoman Empire, many Turks moved to the northern part of the island. The Greek Cypriots mostly lived south of the island, around orthodox churches. We discovered many of these sights during our walks there. Cyprus came from the Ottoman rulers to the British Administration in 1878. Since then, there were strong protests by Cypriots against the British rule, which ended thanks to EOKA fighters. In memory of this liberation, a Liberty Monument, called the “Eleftheria Monument”, stands near the old town, which made us shiver and stand there for an hour. We just couldn’t stop staring at the expressive poses of Liberty, EOKA fighters, and Cypriots being released from “prison”. In 1960, Nicosia became the capital of the Republic of Cyprus, but peace didn’t last long. In 1963, Greek Cypriots proposed an amendment to the constitution, which Turkish Cypriots didn’t accept. There were many violent accidents after this, and the city had to be shared. The border was named “The Green Line”, due to the color of the pen which one United Nations officer used to draw a cease-fire line on a map of Cyprus. In 1974, Greek Cypriots tried to reunify the island but instead caused a Turkish invasion into the north. One year later, Turkish Cypriots declared the Turkish Federated State of Cyprus as their country. When we strolled around southern Nicosia, we saw the “Green Line” often. And every time we had shivers down our backs. The border does not look the same in different parts of the city. Sometimes, it is a meadow full of fragile, small, yellow flowers, surrounded by abatis. Sometimes, the border goes along buildings, which were ruins by now. Once, we even saw a church, the back door of which bordered the north. You might think that if you cross the border to “Lefkoşa” (as Turkish call their capital), it will be a completely different than southern Nicosia. But it isn’t. People speak a different language, there are more mosques than orthodox churches, but the life moves along the same as in the South. In one park just on the border, children were playing and laughing, looking like they don’t notice the fences. Nico and myself, we don’t remember many borders that would be this well-protected, you could say we were “the children of Schengen”. We visited a market square, which was full of people and tourists. You could buy a bag of Adidas or Michael Kors merchandise there for only 20€, but apart from that, there was nothing unusual in this place. We also enjoyed a long walk around and the caravanserai Büyük Han (Great Inn), which was built in 1572 as a hotel for travelers, but today, it is a place for hand-made goods and souvenir shops and restaurants. What we found charming that gives this place character was colorful embroidery that entwines railings and benches in the square inside. They were made by Greek and Cypriot women to display the connection between the women of the North and of the South of Nicosia. 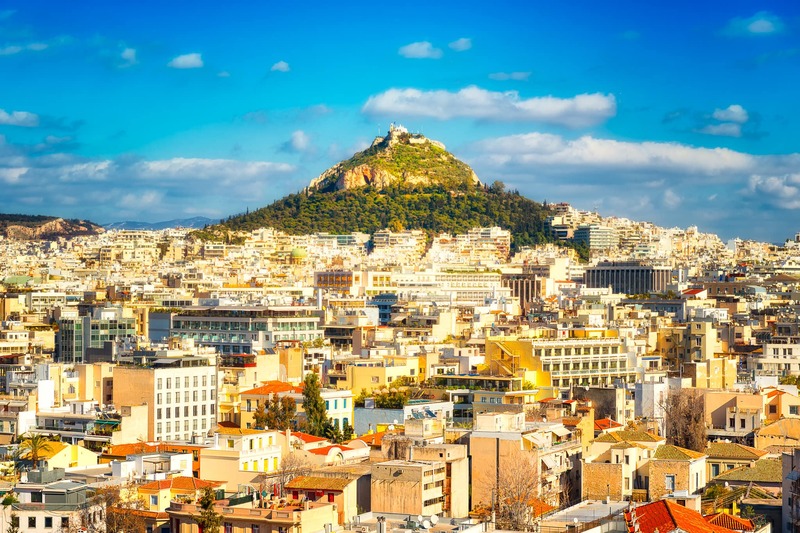 A certain melancholy didn’t leave us for a moment in Nicosia, but we knew what our goal was. It was to show the beauty in both parts of the shared-wall city in our photos, despite the political situation. The sunshine in the afternoon and morning is the same warmth, no matter if it’s Ledra Street in the South or Büyük Han in the North. 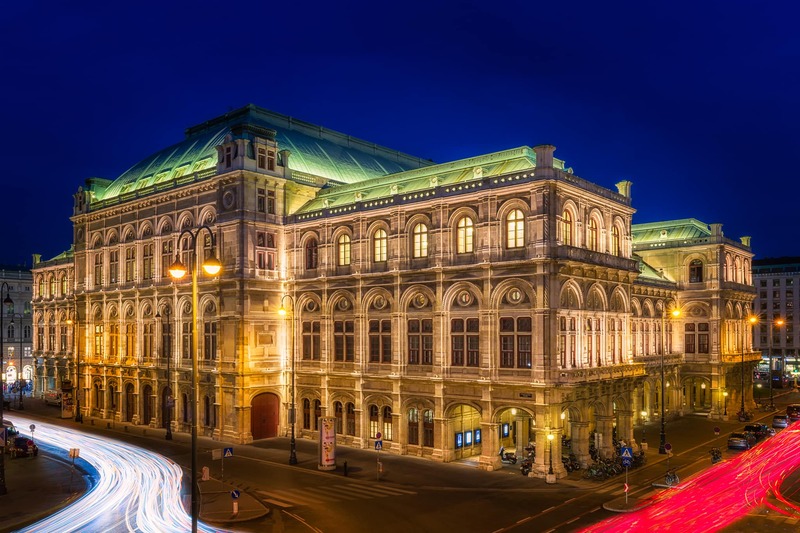 We believe that both places are worth being shown at their best and both different cultures are to be respected. They might be different, there might still be some sorrow and anger, but life goes on – children play and smile, people go to work and tourists just stroll around. We weren’t allowed to take photos of the Green Line – but maybe it was better this way.